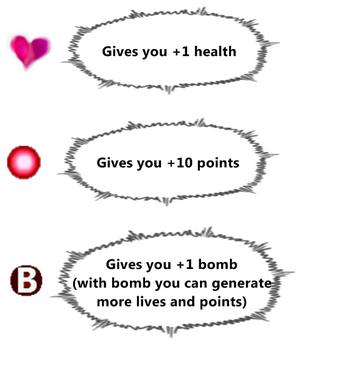 You will start the game with 5hp and 0 bombs. 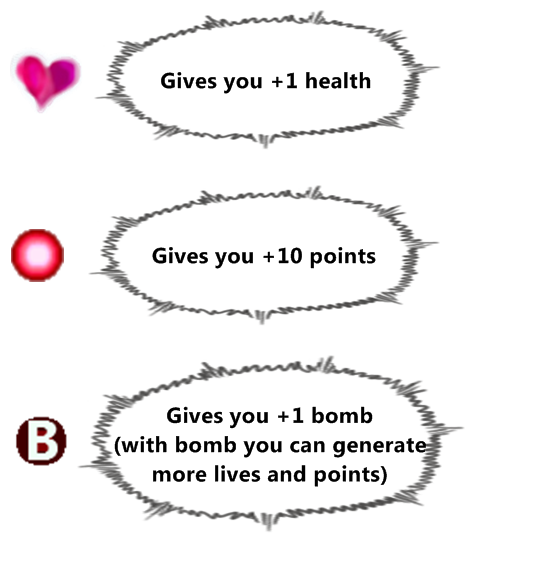 For more points, you need to collect the pink circle (see in the picture). 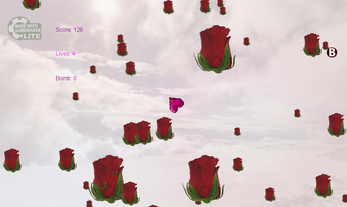 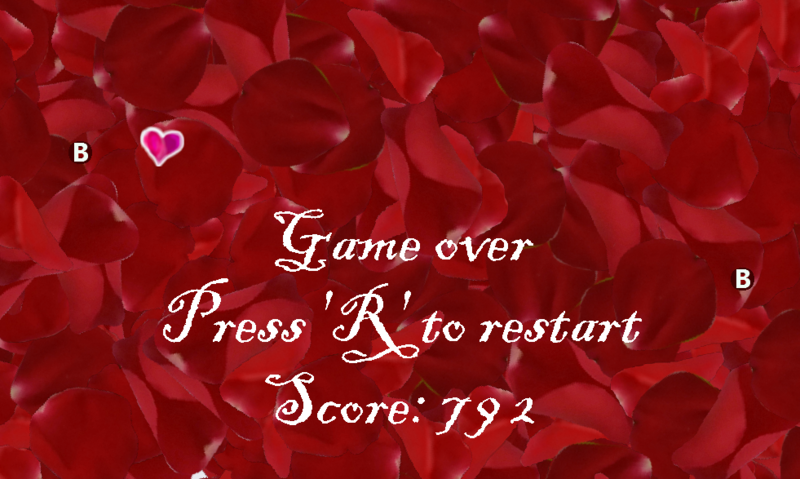 Shoot as many roses as you can!